Sometimes we can be our own worst enemy. 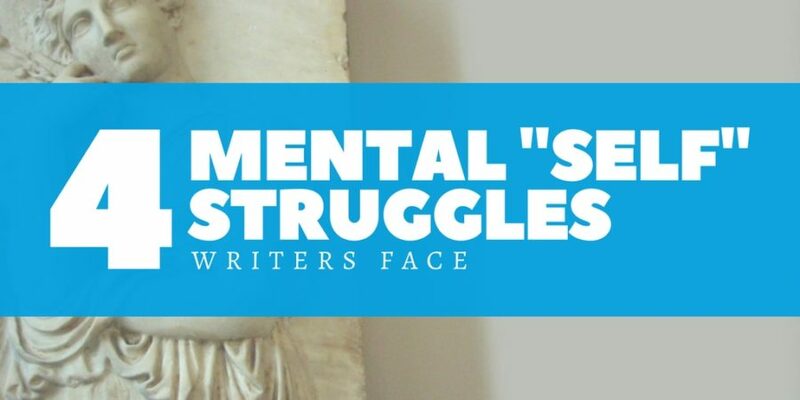 There are a lot of blog entries out there about the mental stigmas writers face, but today I want to talk about the ones we put on ourselves. The good news is: A lot of these self-inflicted struggles can be worked on (and even improved). Especially with the use of gifs*. *Note added by Alyssa, master of gifs. I can’t finish this story. If I sit down and write now, it’s just going to be garbage, so I’ll put it off until tomorrow. This chapter probably isn’t good enough. People won’t interested in my story. Everybody goes through periods of self-doubt. I know I have. Pretty much every time I post a new chapter of my novel to Wattpad, I go through the rest of the evening thinking it wasn’t ready, or that it wasn’t good enough. What helps me push through the self-doubt and keep striving for improvement? First and foremost, I rely on discipline to carry me through the stubborn chapters, or the weeks where I feel less motivated or more discouraged. If I depend on inspiration to keep writing, self-doubt becomes a much stronger foe. I also recommend, based on my experience with Wattpad, that you find a way to get positive feedback on your work. Reading the honest, encouraging comments my readers post on Wattpad keeps me fueled when I feel my writing’s been sub-par. It doesn’t have to be Wattpad, though. Share excerpts on your blog or social media and learn to accept people’s praise (just don’t let it go to your head — keep working!). It’s a lot easier to believe your writing is worth it when someone else tells you. If you don’t meet your daily word quota, you’ve failed. If you don’t make sales, what’s the point? That two-star review means you’re a bad writer. Your story has to please everyone. By the way, those are all lies. You’re not a superhuman, so you shouldn’t hold yourself to superhuman standards. Be willing to fail. But realize that failure is never permanent, nor does one mistake determine your future as a writer. The solution to self-pressure? Relax. Take a deep breath. And learn to accept mistakes as a natural part of your personal growth. Learn to let yourself off the hook. To use Wattpad as an example again, the chapters that I rush to post because the world will end if I’m a day late are inevitably the worst. Plan, be organized, and strive for the best results possible, but once you’ve done your part, sit back and go with the flow. I’ll never be as talented or succesful as other writers. My story is terrible. I have no natural talent. Basically, I’m the worst. Self-depricating humor is a huge thing on social media, and I’m not a big fan. Sure, jokes are often harmless, but is it possible that we end up convincing ourselves of things that aren’t true? Try staying positive instead. Don’t let snark and sarcasm determine your outlook on you or your writing. If it helps, write down your strengths and check the lest every now and then to remind yourself of the things you do well. I find that self-deprication is frequently a symptom of self-doubt, so make sure you’re nurturing yourself with confidence! Okay, the pendulum has swung. I see this mentality pop up every so often on social media. You can’t teach me how to write. I do what I want. That’s just your opinion. Why should I listen to your advice? No, don’t be a pushover. Don’t change your voice or style just to please people. But, for your own benefit, be humble enough to recognize input from experienced writers. Be teachable! You’ll miss out on so many opportunities to improve your craft if you think you already know everything. I remember my first blog, a page I ran four or five years ago. Every other blog post was don’t do this or always do this. How arrogant was I? By telling myself (and others) that my way was the only/best way, I was hampering my own growth and, frankly, wasting everybody else’s time. Advice is good. Listen to it. Learn from others. Give it when asked. And in doing so, forge your own path and let others forge theirs. How about you? What “self” struggles come with writing, and how do you combat them? I really needed this! I was in the self doubt fetal position all day yesterday.